This morning's blog post is from CARE for AIDS board member and recent Impact Trip leader, Kylie White. To see more stories and photos from Kylie's recent trip to Kenya, check out our Instagram. One of the more impactful moments of my trip was one many would’ve passed over. It was during a graduation at Kia'ndutu. The clients were brought up to show some of the products they had learned to make in the program. As they were showing them off one by one, there was a mom and toddler standing in line. The daughter was repeatedly kissing her mom on the face, the mother just smiled and kissed back. In that moment I was struck with the fact that these moms love their kids as much as I love mine. They do not want to leave them as orphans, they want to provide a good life for their families as much as I do. As I watched that mother, beaming with pride over the purses she made, as her precious daughter kissed her face, I thought, this is what God intended; not families to be broken apart by disease and poverty. As an adoptive mom myself, I’ve seen firsthand the grief and pain of losing your first family. So, I will give and pray and sacrifice to keep families together just like this one. 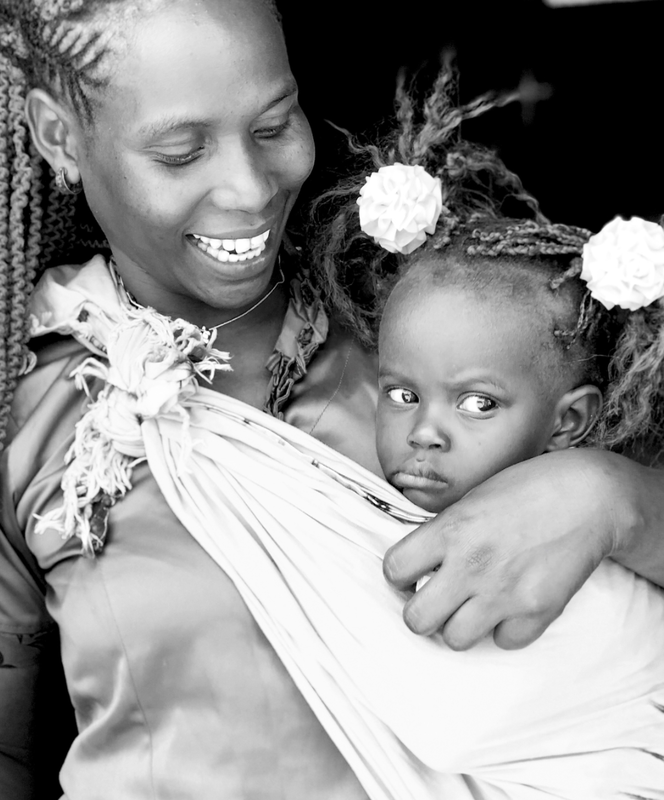 I'm beyond privileged to be a part of CARE for AIDS as they allow moms and dads like these to raise their children and learn a marketable skill to break the cycle of poverty in their family. I pray other families come alongside these families and get engaged. Interested in engaging your children in the work of CARE for AIDS? Check out Kylie's work on an initiative called Families for Families. Learn more here. About Kylie White: Kylie White is a mom of 4 elementary schoolers (Reese, Wheeler, Maran, and Levi) and wife to her best friend John. They live in North Carolina and operate two Chick-fil-A restaurants. Her eyes were opened to the orphan crisis through adoption and her passion ever since has been orphan prevention. Her family first got connected to CARE for AIDS through a friend and went on a trip in 2013. They lead trips regularly to spread the excitement about all God is doing in East Africa. Her heartbeat for her children is generosity and for them to see that following Jesus is an exciting adventure. Families for Families is a natural next step as she engages other moms like herself to live on purpose beyond the 4 walls of their home.